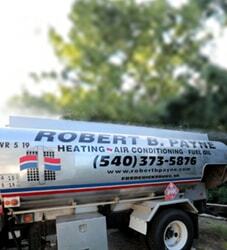 Best Air Conditioning & Heating Service Spotsylvania, VA | Robert B. Payne, Inc.
It’s time to take your air conditioning and heating service in Spotsylvania, VA, seriously. Unless something goes wrong, few homeowners pay any attention to their HVAC systems. We’d like to change that thought pattern, though. We recommend scheduling routine maintenance, prompt repairs, and professional installation for the best results. At Robert B. Payne, Inc. we work with the community to provide such results! Since day one, our focus has been on you, the community. We provide unbeatable customer satisfaction, whether you’re a homeowner or local business. Everyone deserves quality heating and cooling service they can rely on. We make the dream a possibility. So, when you want results, you want Robert B. Payne, Inc.! If you want to increase the comfort of your employees or your family, professional installation is the way to go. 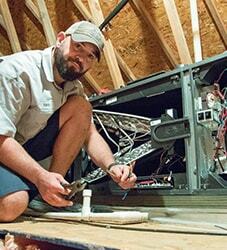 Our experienced technicians will help you pick the right system, then we’ll install it properly for the most benefits. What are those benefits? Well, you’ll enjoy higher energy efficiency, an extended lifespan, and fewer repairs overall! On occasion, your system does require a bit of attention. Our maintenance technicians will examine every component, including the coils and thermostat, and ensure nothing has gone wrong. If it has, we’ll fix the problem that very day. We’ll also clean the entire system and swap out the air filter, too! 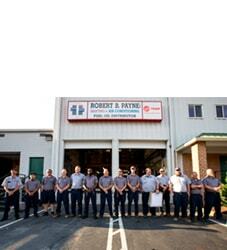 Take advantage of prompt repairs from Robert B. Payne, Inc. when something goes wrong. No one wants to deal with rising temperatures indoors. You’re supposed to feel comfortable at home or in the office. So, when your system breaks down, trust in the best. We are equipped to handle all manner of repairs today! Secure an estimate on air conditioning and heating services in Spotsylvania, VA, today! Call Robert B. Payne, Inc. at (540) 373-5876! We serve the entire Spotsylvania, VA 22551, 22553, 22407, 22408, 22534, 22401, 22565, 22508, 23015, 23024, 22580, 23117, 22960.